The team of Federico Lloveras and Julio Costa Paz aboard Cunnington win the 5th Annual Copa Challenger. Held on the beautiful Nahuel Huapi Lake in southwest Argentina, this 32-mile distance race is for double-handed teams only. 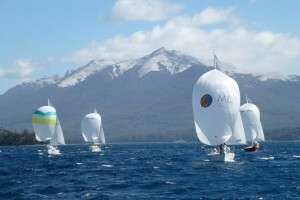 Winds ranged from 5 to 25 knots, providing a challenge for the competitors.